1) Brewers pitching. We've got a solid pitching squad. I wonder if Axford will set any more club records this year. 2) The return of Ryan Braun. I know Braun didn't exactly go anywhere, but I'm just thankful that he did not get a 50-game suspension. I'm excited to see what the NL MVP will do this season. 3) Tailgating at Miller Park. 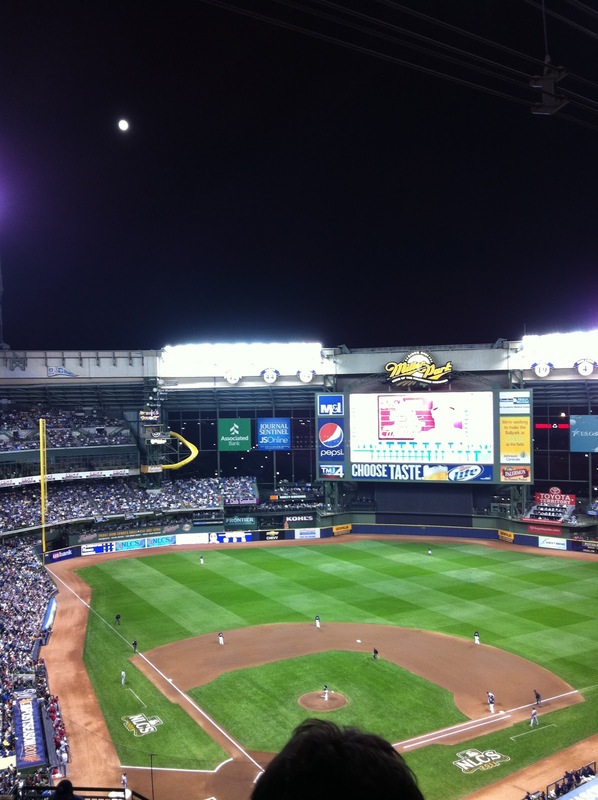 Tailgating is something that we Brewers fans take for granted at Miller Park, but have you ever gone to a Cubs game or a Red Sox game? They don't have the luxury of tailgating facilities as we Brewers fans do. I cannot wait to fire up my grill in the Uecker parking lot, bask in the sun, throw some bags, sip some brews before the Brewers game! 4) Another Brewers post-season run. I like to think that the Brewers started a tradition last season of appearing in post-season games. The Milwaukee Brewers have a division title to defend! 5) Sausage races. I've always been partial to the bratwurst, but he/she never seems to win. Honorable mention: The various bobblehead days. Always looking to grow the Brewers bobblehead collection. I'll trade you a Ben Sheets for a Robin Yount.